Markets may become volatile from time to time, for example, as a result of an unexpected news event, etc. Also, system failures by Durham Precious Metals or other firms upon which it relies may disrupt trading. Durham Precious Metals may not be able to complete your order in these or other similar circumstances. Durham Precious Metals reserves the right to adjust an order if the metal and currency quotes received from Durham Precious Metals data source when the order was placed are found to be incorrect. Durham Precious Metals will contact you if an order needs to be adjusted and you may cancel the order if you wish. Your order is a Legal Binding Agreement and we allow NO CANCELLATIONS. Once you have placed a bullion order with us you are in agreement to pay for your order.You agree that you shall submit full payment within the time frame alloted for each individual payment method. Upon our receipt of your payment, in full, we will hold your payment and your product(s). Once your payment has been verified your order will be shipped to you. Should we learn of a returned payment, initiated by the buyer, we will automatically add a $100 charge to the customers account as an administration and processing fee. We will also charge the customers credit card any amount of the market loss that Durham Precious Metals incurred on any product purchased. Once you have paid for your order in full, you can then if you wish you may sell your product(s) back to us. 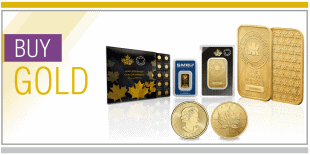 At any time after you have fully paid your bullion product order, even before we have shipped it, you can choose to sell your bullion product order back to us at the market rate for such buy-backs at that time. International Customers acknowledge that the customs office of the destination country may apply customs fees, import duties, taxes and other charges in accordance with that country’s applicable tax law and will be their own responsibility. You agree to pay the published price for Durham Precious Metals goods and services and all applicable taxes in connection with the purchase. We reserve the right to change our pricing policy at any time, to change the method of payment which is acceptable to us and to refuse payment, at our sole discretion. In accordance with world market conditions the published price fluctuates. You agree that the published price at the time of purchase is payable by you notwithstanding any subsequent fluctuations in the published price. Durham Precious Metals has no control over price fluctuations and is not responsible for any losses incurred by you as a result of purchase.You agree to pay the published price for Durham Precious Metals goods and services and all applicable taxes in connection with the purchase. We reserve the right to change our pricing policy at any time, to change the method of payment which is acceptable to us and to refuse payment, at our sole discretion. In accordance with world market conditions the published price fluctuates. You agree that the published price at the time of purchase is payable by you notwithstanding any subsequent fluctuations in the published price. Durham Precious Metals has no control over price fluctuations and is not responsible for any losses incurred by you as a result of purchase. Payment to Durham Precious Metals or any purchase shall be made at the time the purchase order is placed, unless alternate arrangements have been made in writing. If such payment does not reach Durham Precious Metals for any reason in the amount of time allowed, then Durham Precious Metals reserves the right to liquidate the items ordered and any losses incurred by Durham Precious Metals as a result of such liquidation shall be charged to the Purchaser.All Durham Precious Metals sales are final, however you may sell your purchased product back to us at any given time. Bear in mind that the purchasing price may differ from the price at which you had originally purchased the product due to fluctuating markets. The price and availability of products change constantly in accordance with market forces and supply and demand. We reserve the discretion to set the sale and buy-back prices for our products. We will send you a confirmation and invoice by email. Our failure to send and/or your failure to receive either or both of these email(s) does NOT invalidate or otherwise cancel your order with us; you are still required to pay for your order. Please contact us if you fail to receive wither. Credit Card Information to Secure Payment and Charges for Unpaid Orders: You agree to provide your credit card information to secure the payment of your order when you are placing an order with us: Once the full payment has been received and cleared we will release the held funds on your card. If you fail to pay us we reserve the right to involuntarily liquidate account as an administration and processing fee. We will also charge the customers credit card any amount of the market loss that Durham Precious Metals incurred on any product purchased. Once you have paid for your order in full, you can then if you wish you may sell your product(s) back to us. At any time after you have fully paid your bullion product order, even before we have shipped it, you can choose to sell your bullion product order back to us at the market rate for such buy-backs at that time. International Customers acknowledge that the customs office of the destination country may apply customs fees, import duties, taxes and other charges in accordance with that country’s applicable tax law and will be their own responsibility. You agree to pay the published price for Durham Precious Metals goods and services and all applicable taxes in connection with the purchase. We reserve the right to change our pricing policy at any time, to change the method of payment which is acceptable to us and to refuse payment, at our sole discretion. In accordance with world market conditions the published price fluctuates. You agree that the published price at the time of purchase is payable by you notwithstanding any subsequent fluctuations in the published price. Durham Precious Metals has no control over price fluctuations and is not responsible for any losses incurred by you as a result of purchase.You agree to pay the published price for Durham Precious Metals goods and services and all applicable taxes in connection with the purchase. We reserve the right to change our pricing policy at any time, to change the method of payment which is acceptable to us and to refuse payment, at our sole discretion. In accordance with world market conditions the published price fluctuates. You agree that the published price at the time of purchase is payable by you notwithstanding any subsequent fluctuations in the published price. Durham Precious Metals has no control over price fluctuations and is not responsible for any losses incurred by you as a result of purchase. Payment to Durham Precious Metals or any purchase shall be made at the time the purchase order is placed, unless alternate arrangements have been made in writing. If such payment does not reach Durham Precious Metals for any reason in the amount of time allowed, then Durham Precious Metals reserves the right to liquidate the items ordered and any losses incurred by Durham Precious Metals as a result of such liquidation shall be charged to the Purchaser.All Durham Precious Metals sales are final, however you may sell your purchased product back to us at any given time. Bear in mind that the purchasing price may differ from the price at which you had originally purchased the product due to fluctuating markets. The price and availability of products change constantly in accordance with market forces and supply and demand. We reserve the discretion to set the sale and buy-back prices for our products. We will send you a confirmation and invoice by email. Our failure to send and/or your failure to receive either or both of these email(s) does NOT invalidate or otherwise cancel your order with us; you are still required to pay for your order. Please contact us if you fail to receive either. Credit Card Information to Secure Payment and Charges for Unpaid Orders: You agree to provide your credit card information to secure the payment of your order when you are placing an order with us: Once the full payment has been received and cleared we will release the held funds on your card. If you fail to pay us we reserve the right to involuntarily liquidate your order, at our sole discretion, without any further notice to you and you hereby agree that we do not require any permission from you to effect such liquidation. Where we liquidate your order and the value received for the liquidation of your order is less than the amount you owed to us for such order, such difference in value shall be charged to your credit card in accordance with the credit card information provided. We also charge a $100 fee for failure to pay. DPM reserves the right to keep any market gains. Durham Precious Metals does not guarantee any time for delivery and reserves the right to delay or cancel delivery in its sole discretion. Your order will be packed and shipped subject to product availability. 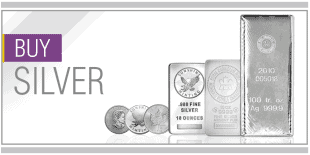 The shipment time of your order may be delayed due to reductions in our inventory as a result of increased demand for certain bullion products and/or the reduced supply available to us. We will insure the full value of your shipment to the address provided when your order was placed. Your signature is required to receive delivery. Should you choose to re-direct your order to be shipped to any other location and/or to waive the requirement for a signature, you agree to incur all risk and liability associated with such order. A signature is required on each shipment, indicating that the package is received in acceptable condition. If your package shows evidence of damage, repairs, or having been opened and re­sealed, refuse to sign and refuse to accept the shipment. Instruct the carrier to return the package to sender, and contact us immediately to report the issue. Accepting and signing for a damaged package voids insurance, and any losses or damages to product will not be covered. If the estimated delivery date provided by the carrier has been exceeded and you still haven’t received notification, please contact us. All the information and materials contained in any of our publications, offers or website, including but not limited to all text, graphics, links or other items, is provided on an ‘as is,’ and ‘as available’ basis. To the fullest extent permitted by law no warranty of any kind, implied, express or statutory, including but not limited to the warranties of title, merchantability, freedom from computer virus and non-infringement of third party rights, is given in respect of our services, sales or website or the information, materials, market data, products or resources (‘the Information’) included in our website. Durham Precious Metals does not warrant the accuracy, adequacy or completeness of the Information provided in our publications, offers, or on our website and expressly disclaims liability for any errors or omissions that may be contained in the Information. Durham Precious Metals publications, offers or website are not intended to be comprehensive or detailed statements concerning the matters addressed, professional or expert advice or recommendations regarding investment or any other financial dealings, or an offer or recommendation to buy any item, product or service. You should seek appropriate, qualified professional advice and recommendations before acting or omitting to act based upon any information provided in our publications, offers or on or through our website. To the fullest extent permitted by law, neither Durham Precious Metals nor any of its affiliates, employees, subsidiaries or holding company shall be liable for any damages of any kind, including without limitation, direct or indirect, special, incidental, or consequential damages, losses or expenses arising in connection with our goods, services, publications, offers or website or with the use of the Information contained therein, for any reason whatsoever, including without limitation the use or inability to use the website by any party, damage arising from a third party accessing the website using a password disclosed, lost or stolen from the user, the failure to perform, error, omission, interruption, defect, delay in operation or transmission, computer virus or line or system failure, loss of profit or income. This shall apply even if Durham Precious Metals, its affiliates, its employees, its subsidiaries or its holding company have been advised of the possibility of such damages, losses or expenses. Hyperlinks and references to other internet resources are provided and used at the risk of the party accessing our website and your attention is drawn to the fact that the content, accuracy, opinions expressed, together with other links provided by these resources, are not investigated, verified, monitored, or endorsed by Durham Precious Metals in any manner whatsoever. 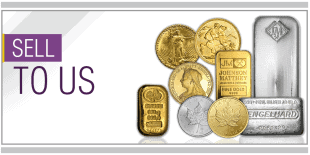 It is acknowledged that Durham Precious Metals is not a bank and is not in any way subject to banking regulations. All of the intellectual property rights are and will remain the sole property of Durham Precious Metals including without limitation trademarks, service marks, trade names, copyright and other rights used or embodied in Durham Precious Metals publication or on its website. All Information and material supplied by Durham Precious Metals, constitutes part of Durham Precious Metals confidential and proprietary information and no party in receipt of any publication or accessing our website may reproduce, copy or disclose such information without the prior written consent of Durham Precious Metals No party accessing our website may attempt to modify, tamper with, reverse engineer, gain unauthorized access to, or in any way alter any software comprising the website. descriptions, are subject to change. Durham Precious Metals and www.durhampreciousmetals.com are trademarks of Durham Precious Metals. 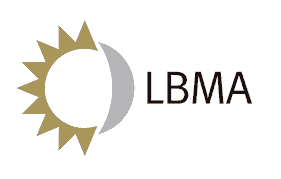 These marks and logos may not be used in connection with any product or service that is not related to Durham Precious Metals, or that in any manner is likely to disparage or discredit Durham Precious Metals and/or www.durhampreciousmetals.com. At any time and for any reason, Durham Precious Metals may request that its marks and logos not be used. All information submitted to Durham Precious Metals via our website by visitors shall be deemed to be and shall remain the property of Durham Precious Metals. Durham Precious Metals shall be free to use, for any purpose, any ideas, techniques, concepts, that a visitor to the website provides Durham Precious Metals. Durham Precious Metals shall not be subject to any obligations of confidentiality regarding submitted information except as otherwise provided. on Contracts for the International Sale of Goods does not apply to these Terms and is strictly excluded.